Nikon's new Z-mount marks a major departure for the company, which (barring the short-lived 1-Series) for almost 60 years has relied on the 1950s-era F-mount for its interchangeable lens cameras. The Z-mount is significantly wider than the older F standard, with a much shorter flange-back distance. As such, it provides Nikon's optical engineers with greatly increased flexibility when it comes to lens design. The new Z7 and Z6 are launching with three new lenses - the Nikkor Z 24-70 F4 S, Nikkor Z 50mm F1.8 S, and Nikkor Z 35mm F1.8 S, alongside an FTZ adapter for Nikon's legacy F-mount lenses and a fourth native prime - the Nikkor 58mm F0.95 Noct - in development. Let's take a closer look. Why is Amazon selling the 35/1.8 for $846 vs the $599 retail price? It actually said Amazon as the seller. Sony's 50mm f/1.8 FE lens is $198, weighs 186g and is 59.5mm long. Nikon's Z 50/1.8 S lens is $596.95 , weighs 415g and is 87mm long. The Sony 50/1.8 is plenty sharp for me. I don't see the Nikon 50/1.8 being 3x sharper or optically superior to justify being triple the price, more than double the weight and nearly 3cm longer. I like 50/1.8 lenses being relatively compact, lightweight and reasonably priced. That's what makes them so "nifty." It would make more sense if the Nikon 50 was an f/1.4 or f/1.2. But it seems odd for a 50/1.8! It makes me wonder how large and expensive a Nikon Z 50/1.4 would have been! @CaPi - Yes, but the difference is that there are various native E-mount 50mm options for Sony, from small, compact, light and inexpensive to big, heavy, and expensive. The danger here is that Nikon alienates potential buyers by not offering more accessible options. For example, forcing people to use XQD is an issue that could alienate many buyers. All these little factors can and do give pause to many potential buyers. And that's not necessarily a good thing when there are other options in the market. For example, I think Canon will probably start with more accessible options to get more people into their FF mirrorless system as quickly as possible. Canon introduced their EOS M system with the 22mm f/2 EF-M pancake lens which was very compact, sharp, and very affordable. I hope/think Canon will do the same when they launch their FF mirrorless system. This will allow them to beat Nikon mirrorless in gaining market share. They have to make a cut from the 1950s mount. I loved that mount btw. Going large offers Potential and is a differentiator. I believe itsworth a risk.. And I dont know if I wouldnt have asked their engineers to be even more couragous.. Push more into what is to come. This system will take time to build. Sony took it anf so will the others. I think it was an early promise of mirrorless that the lenses would be smaller, but it never really panned out that way given the need for telecentric designs. Many of the smaller mirrorless lenses are either lower specced (Fuji 27mm, Sony 35mm) or crappy (Oly 17mm 2.8). A lot of mirrorless lenses are long and skinny (Fuji f2 primes, Oly 1.2 primes, etc). Look at how poorly the old, flat, symmetrical rangefinder lenses (ie Biogons) perform on mirrorless. PS: Why those Sony G lenses are so huge, however, escapes me. Oh please - just wait until Nikon launches decent f/2.8 zooms. They'll be just as big as the Sonys only more "plasticy"
So, the slow kit zoom is a grand and the nifty-fifty is $600. I wonder what the pro holy trinity of 2.8 lenses will eventually cost. 24-70F4 at a grand isn't surprising. AF-S 24-120 will cost you a grand if you try to buy one brand new, separately from a camera body. In Canonland, 24-70F4L will cost you nearly as much too. No one actually pays these prices, of course, because they get these lenses at a discount as part of a kit. Use the adaptor and shoot the Otus range if you want. the same flaccid looking lenses as Sony's. I would have thought a more professional look...like the 200 f/2 or the 58mm f/1.4.... or anything but that thing! Does Nikon even make it .....or did they go the way of Pentax? It's always possible to identify a Nikon lens without seeing the brand name, but not anymore in the case of the Z ones. I know that this can be the least worrisome issue in practical terms. I just like the idea of being possible to identify a brand by certain product design characteristic. If it’s huge, plastic and aesthetically unsexy, it’s a Nikon. Because the appearance, obviously, trumps functionality? Nope, but having both is better than not having both. You ok with an ugly wife too just because she's a great cook? Surprised they didn't start with a 24-105 or 24-120. This way they can sell you two lenses. The one that you have to buy at launch. And the one that you want to buy later down the road. What's the size benefit of mirrorless when the lenses are so long and large? Same with Sony. I don't get it. Some sort of manhood competition? The 50/1.8G is smaller than this Z lens. To date, after years, Sony persists with large sized lenses for its "small" mirrorless bodies. Why not some well-made smaller sized lenses? I'll keep my 24/2.8D and D750 with its 52mm thread and Cokin A sized ND grads. wysiwyg for one. Live view in general that is snappy and not half baked like dslrs. touchscreens that allow for more flexible shooting plus e-shutter silent shooting. Easier to automate and standardize manufacturing and repair, with less total parts, less moving parts. It's not about the user, actually. For me the answer is simple, silence! All small and light, Nikon's 35 and 50 is huge compared. That's why I bought into the Fuji X system. The 35mm 1.4 (50mm FF) is really small and light and many other lenses too without sacrificing too much of the image quality (like with MFT). I think people should be skeptical, just as Sony does, Nikon will probably introduce some new algorithm that will transform bokeh balls in perfect circles and do some trick to look like coaxial aberrations are gone. Everything will be done in software, and they claim that the new lens has some magic, just like sony will ask for your legs and a arm. Sony changes the bokeh via software? Reference please. It'a start, I guess. The greatest thing about the whole Z-line though is that the entire Nikkor lineup has gotten a stabilization upgrade. What impresses me most are the combined 17 people who already had these lenses but seem to have sold or lost them. Amazing! Or its the size-price one has to pay if they want sharp, wide open lenses for a FF system. Yes, OK, but there's tons of 1.8 (and much faster) FF primes that are the fraction of the size and still have excellent reputation for sharpness. Never thought a sharp prime at 1.8 is something extraordinary; it's pretty much expected of most primes. Sharp wide open at 1.4/1.2 is a different thing. Whether it makes a big difference in real life is another matter. Must be the combination of the huge mount and the very short back-flange distance. These new mirrorless mounts solve many problems but they seem to create some as well. I fully believe this new Nikon will be much sharper than this. It could be; I kind of always assumed most 50s are OK at 1.8 but seems it's not the case. I hope you are right about the new Zs. Everyone wins when good new optics become available. Though, if I understand correctly, the new Z lenses can be used only on the Z cameras due to the very short back-flange distance. Is anyone lese a bit disappointed that the Noct F0.95 lens is manual focus only. With the F-mount, Nikon had a reason, the throat diameter was too small to add the large rear element+electronic contacts. I understand that using auto focus to get sharp images at F0.95 is difficult for a camera, but isn't this 2018? It will be a very expensive lens already so adding AF would probably add another 30% to the price. $2999 manual or $3899 AF... and yes it will be around that price. Thanks for replying, but I think people who are really interested in the lens, wont care for the price increase because its already high. The price is actually expected to be $6000. Probably to make sure that not one single person will moan about the autofocus performance. Im asuming this means they dont have to bother putting in a motor which would mean it is proper manual focus and not focus by wire. It would be even stranger if had a motor to focus manually by wire. Lets be honest. The lens will most likely cost $4-5k so most people complaining are't even in the market. My guess is that there's so much glass to move around, a small stepper motor would have a very difficult time focusing it in a timely manner. I think a large proportion of people in the market at that price will be people with more money than sense, and they would be the first to complain. There are probably multiple reasons for keeping it manual focus only. Actually, a camera using contrast detect such as this Nikon will have much less of a problem finding focus than we ever could at F0.95. Canon made a 50mm f/1 AF lens in the 80's. Nikon probably didn't want to compromise and use a relatively light focusing group. It's more meant as a showcase, to show what you can do with the new mount, than for actual use by the masses. Probably it has been developed to compete with the Zeiss Otus wide open, but then at f/0.95 instead of f/1.4, to show that Nikon can design lenses Zeiss can't. 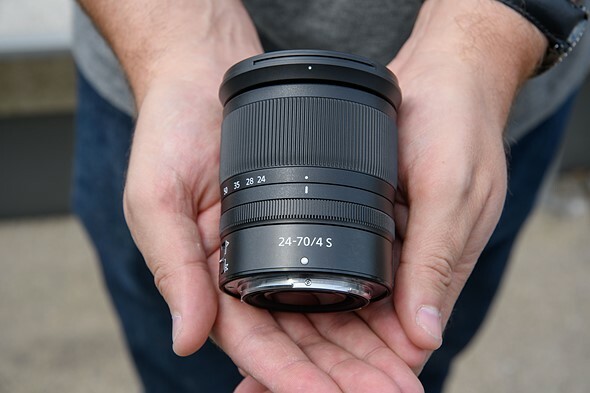 The 50mm f/1.2 Z might be the lens you want and possibly can afford. And in a few years, there will undoubtedly be a 58mm f/0.95 Z AF lens or similar. We saw the same with the 80-200mm f/2.8 ED Ai in the eighties, that was succeeded by the 80-200mm f/2.8 ED AF, which was 5 cm shorter, 620 g lighter and a lot less expensive. Nikon is exploring new territory here and will progress. I wouldn't be surprised if Nikon develops into the king of high-quality fast lenses. They do have the mount and the knowledge for it. I personally would welcome a new race for light giants, like at the end of the rangefinder era. It's the formula 1 of optics. @DeathArrow: And if you put that lens on a modern high-res camera body, it would be laughed out of these forums. Compare it's size against the 58mm. There's a sizable difference. The sad truth is that as camera's resolution increases, the complexity of lens (and hence size) goes up and up (along with cost). That is why proactively every new generation of lens is larger than the last. Doubt they'll bother (even third parties) with a ZTF adapter because the new lenses are "too" electronic to go the other way. They are designed for a 16mm flange distance, so would require an adapter with elements to be able to focus. Otherwise the DSLR greater flange distance would act like an extension tube. No post regarding this lens??? or did I miss something?? This post is about the new Z-mount lenses. The new 500mm is F-mount. But you failed to understand 2 days have past since AF-S NIKKOR 500mm f/5.6E PF ED VR announced, but Dpreview yet to put an article on it. Be assures 500mm PF will be more than a good success. No post regarding this lens??? or did I miss something??" Their omission of 500mm f/5.6E PF article is glaring. Any reason not to buy a Leica 50 Noct instead of this ridiculously big *Manual* 0.95 lens? If you've got the budget and desire to drop $10k on the Leica Noctilux and $8k for the M10 (assuming you don't already have an M), no, there is no reason not to get it over waiting for the 58mm. No need to spend on a M body at all, it can be adapted to Z mount with the same manual focus. Or *Auto* focus when adapted by a techart adapter to Sony E mount. The only reason I see is being a fanboy. Otherwise, there are many f/0.95 lenses, not just Leica. Yes. The Noctilux is thanks to the very small Leica M mount atrocious at the corners and margins until almost f/8, just look at the MTF Leica provides. Same is true for the other f/0.95-lenses. And all suffer from cat eye bokeh. This will be the only 0.95-lens with good corners and excellent bokeh. A lens road map like Micro Four Thirds and Fujifilm X-mount? Of course, Pentax has had a lens road map for years, but trust DPR to conveniently ignore that. I don't think they conveniently ignored it as much as oversight. But true, Pentax had one, even for the Pentax Q. Plastic beer can lenses! Hooray, I'd take a six-pack if they looked more durable and didn't require me to sell a kidney. The 50 and 35 are huge. They basically look like SLR lenses with built-in adapters for mirrorless. I guess compact size wasn't a design criteria for this system. oh no haven't you learned your lesson that FF is FF no matter if there is a mirror or not. M43 and APS-C exist for a reason but when you get small you complain about IQ and noise. As other full frame mirrorless cameras (Sony) have shown, mirrorless makes the camera's smaller, not the lenses. Honestly this Nikon is half the weight, 1/3 less size than the Sigma 50mm F1.4 ART lens. If it performs just as well, you will understand why its not as small as the crappy, 1980's Canon 50mm F1.8 lens. Will it be possible to use Leica M lenses? Love the little prime... I feel like the only one in the world who likes small lenses nowadays. Some pancake primes now, please? What little prime? These are huge. ED: Nikon has done roadmaps before: the last example of that in my mind was the 500mm f4P on the F4's introduction brochure. I stopped caring after that as I had "last camera syndrome" after I bought my F3 a couple of years later. Nikon remains the king of plastic! Is there any brand that makes sub $1k metal AF lenses? Metal lenses have a tactile feel that big, blobby Nikon lenses will never give you. Plastic may not break, but it doesn’t that extra something to the experience you get from using a beautiful object. If I have to explain it, you’ll never get it. How long is it, how heavy is it. Is it really too difficult to imagine your readers might want to know this? Please up your game! Why are these 35 and 55 lenses so big? I thought wide mount and 16mm flange distance would allow smaller lenses. Or is this advantage applicable only to wide-angle lenses? That was the supposed logic... but the need for telecentric lenses has meant that a lot of mirrorless lenses (particularly wides) have ended up being long and skinny. If you look at a lot of the smaller, flatter, more symmetrically designed film lenses they work pretty poorly on mirrorless. Besides, take a look at the size of an SLR lens + an adapter for a mirrorless camera and the size is similar. Most (if not all) m43 lenses are quite a bit smaller and lighter than 43 versions (Oly 9-18mm, Leica 25mm f1.4, Oly 7-14mm, Oly 70-300mm etc..). I know that optical design of mirrorless lenses also considers in-camera corrections so they don't need as much glass but I have also assumed that size and weight reduction was due to flange distance difference. No more nifty fifty at a good price. Maybe Sony showed that customers can pay a lot for a 50mm. (and for a 35mm). I wonder why the higher price compared to the F mount versions. I wish Nikon would be more competitive in price compared to Sony lenses. Because the 50/1.8 is a new construction, 12 elements in 9 groups, instead of a variation on a 120 year old double Gauss scheme like the F-mount 50/1.8 (and indeed most of the 50s released before about 2013) were. The size and price are the unfortunate side effects. I remember the outrage when the Sony 55/1.8 was released. Now it's repeating. Anybody know what the "S" designation means? Nikon's answer to the L line from Canon - better than average lenses. Kind of what Nikon's gold ring on the lenses was supposed to mean before getting watered down. At the moment it doesn't mean anything like the L line since the kit zoom is branded S-Line same as the exotic 0.95 prime. Then clearly it means nothing for Canon either since Canon has L-branded 24-105 f/4 kit zooms as well as the 800 f/5.6. So they can steal some kudos by having the same name ("S-Line") as Audi's top trim standard...??? Yea, why a S? Would have preferred a Z instead, like Sony E or FE. @FuhTeng: the ef 24-105 f4 l usm is mk1 is quiet excellent and deserve L.
These lenses are interesting - compared to similar DSLR counterparts, they don't really excel at light. But we didn't expect that either. Noct sounds really cool - hopefully it will have that rendering we all desire. Many thanks to DPR for sharing this info. Finally I can see what happen when my EF35 1.4L works with a Nikon FF body! I'll probably never buy one (read: can't afford one), but my god that Noct is freaking cool. I think they really want that linear focus option if they want video people to use it. Does "nothing to stop Nikon adding a linear response" mean it's been hinted at or you just made that up? I'd be curious about that too. I'm a newbie but why can't focus by wire be improved by firmware updates to be almost exactly like manual focus? Possibly if the resolution of the rotation sensor isn't high enough you need a non linear response. I guess that is what linear focus option means lol. Slower focus but more precise instead of acceleration like with a mouse pointer. $599 for a 50mm F1.8 seems expensive. Traditionally 50mm (f 1.8 or slower) lenses have been cheap. Nikon's 50mm f 1.8 D is under $200, so 3X cheaper. I know this should be a better lens, but even so. Because they are very old designs. These have been newly designed for the new mount (at least I hope so). With 12 elements it's a much more complex design than their dslr 50mm lenses. Look at how the Zeiss Otus 55, Sigma 50/1.4 Art perform with their complex design. If it will perform somewhere close to Zeiss 55 1.8 FE than price for Nikon 50mm F1.8 would be just fine. These "old" optical designs used to work very well. Why do they need a much more complex and expensive design? Fixing a problem that isn't really there? You can still use the old ones using the adapter. More complex expensive designs are needed because of pixel peeping toms who look for faults. The more they can spend on faultless boring large and heavy lenses the happier they are. You have to stop the Nikkor down to f/2.8 to get similar results as the Sigma at f/1.4. Stop the Sigma down to f/2 and the Nikkor never beats it at any aperture. As long as you're happy with your D700 (or something like that), you don't need to spend more money on a body with more resolution you'll never need. @Lotto - cheap? If Loxia looks cheap, then yea. @lotto - Why does plastic mean cheap? And is it plastic? I didn't read that. Didn't Nikon publish a lens roadmap for the One system? They showed prototypes of all sorts of future lenses and flashes that never got released. f/1.8 lenses are way larger than expected. Except that the Canon 50/1.0L was extremely expensive, super slow focusing, and optically worse than the "cheap" 50/1.4. Nikon could have gone in this direction, but it wouldn't be wise from Nikon's perspective as a company. Typo: "Minimum focus is 25mm (9.8 inches)." . I think minimal focus should be 250mm or 25cm. Fixed! Thanks for pointing that out! The F1.8 Lens are larger than I expected. They are almost the size of F1.4 lenses which is disappointing. As lens optical formulas get more exotic to provide sharp results for very high resolution sensors, they will tend to get larger and larger. 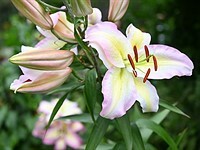 They are promising sharp results wide open, if they don't deliver that kind of result then the Camera will fail. I mean who wants large F1.8 lenses that aren't sharp wide open. And they fact that they picked F4 for the 24-70 lens is another indicator that the F2.8 version will be a monster like the Sony G master or larger based on the flange distance. I don't think they wanted to scare people off. Are these dslr designs, they look to have built in tubes. Yes, exactly as some Sony lenses for the E mount. That is not the standard 50mm F1.8 double gauss design. 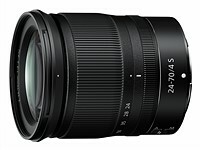 Many Sony lens designs have what looks like a tube to offer extra finger room. But it isn't just a tube since that portion often has lens elements in it. Nikon could be doing the same. $599 for 50mm F1.8? Yikes! @ericdc You mean like the Sony FE 50 1.8 for $250? A lens is not a focal length plus a widest aperture. That Sony is a standard double gauss 6 element lens. This fifty is a more modern 12 element design (read corner sharpness wide open). No cheaper than FE55 1.8 Thai Zeiss, bad comment! A 35mm f/1.8 for $600 at launch! That alone is nice small win vs Sony. I may just finally replace my ageing Sony RX1. ikr, zeiss after hoarding all these years. Sorry to burst your bubble but the 35mm 1.8 is going to be ~$850. Hey Sony! Where’s 35 f2 FE? 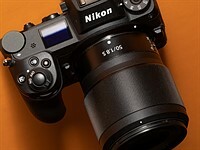 One of three lenses launched alongside the Nikon Z6 and Z7, on the face of it the Z 50mm F1.8 S might appear the most pedestrian of the group, but it might just be the niftiest fifty we've ever seen. The Nikon Z 50mm F1.8 is one of three lenses to launch with the Z system, and though we've only been shooting with it a short time, it's quickly becoming a staff favorite. With tons of resolution and dynamic range, the Nikon Z7 is a great camera for shooting landscapes. But what about semi-pro wrestling? We spent an evening with the Z7 at DEFY Wrestling, which offered plenty of peak action and tricky lighting - see the results in our updated sample gallery. You can't launch a new camera system without lenses, and Nikon has three Nikkor Z-mount lenses available at and slightly after the launch of the Z 7 and Z 6. They include a 24-70 F4 S, 50mm F1.8 S and 35mm F1.8 S.
The Nikon Z7 is here and we've had the chance to shoot with a pre-production model here in Seattle. 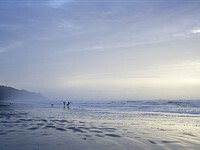 Take a look at our first sample images. Over a thousand glass plates showing a controlled chronicle of Hitler’s rise to power and the Nazi leader throughout World War ll have been digitized by the US National Archive.